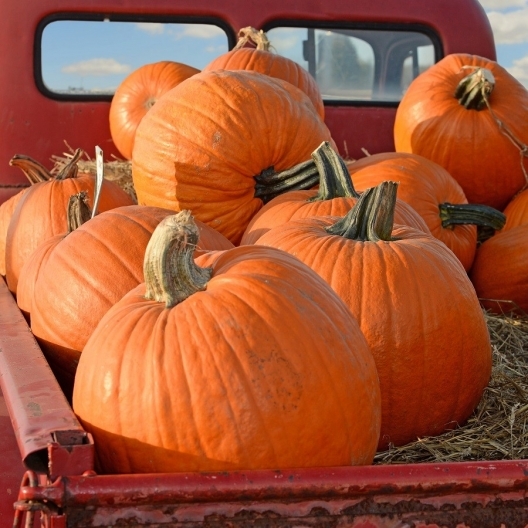 An autumn staple, pumpkins are grown for both decorative and edible purposes. 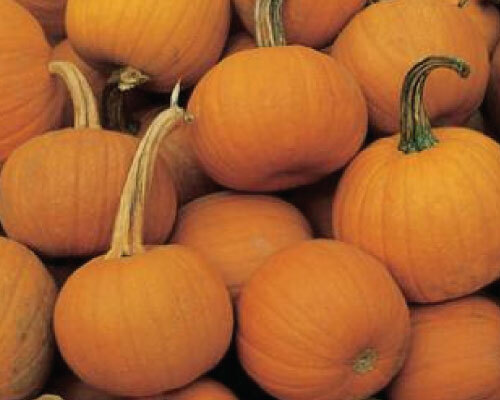 Pumpkins come in many shapes, sizes, colors and uses. 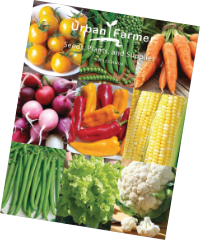 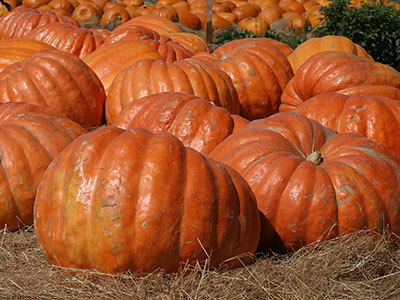 From carving to baking you will find several varieties that will meet your needs. 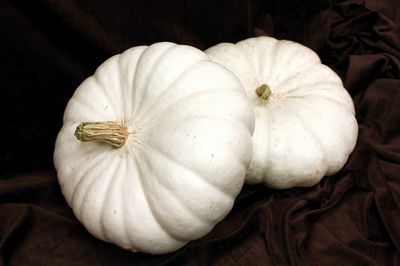 The Casper Pumpkin is a white skinned ornamental pumpkin with a tan, corky handle and a thick orange flesh that is of excellent eating quality. 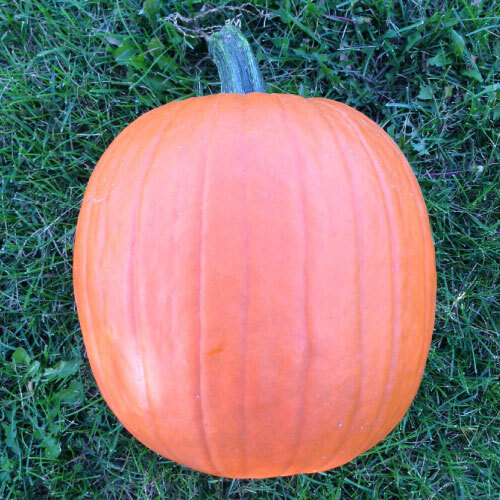 The Cinderella Pumpkin is an excellent pumpkin for canning or baking pies and pumpkin bread as it has a great eating quality! 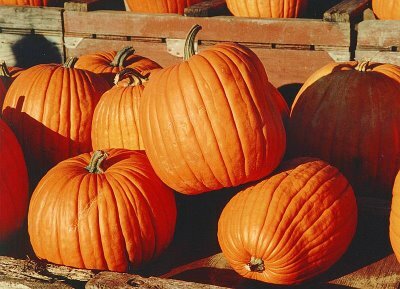 The old favorite Connecticut Field Pumpkin's rind is hard but thin and slightly ribbed with a sweet, thick and course flesh. 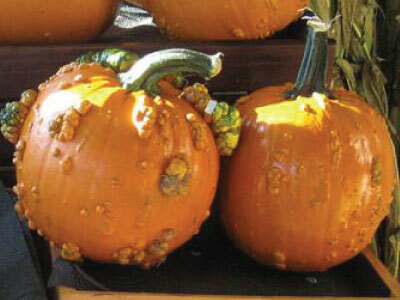 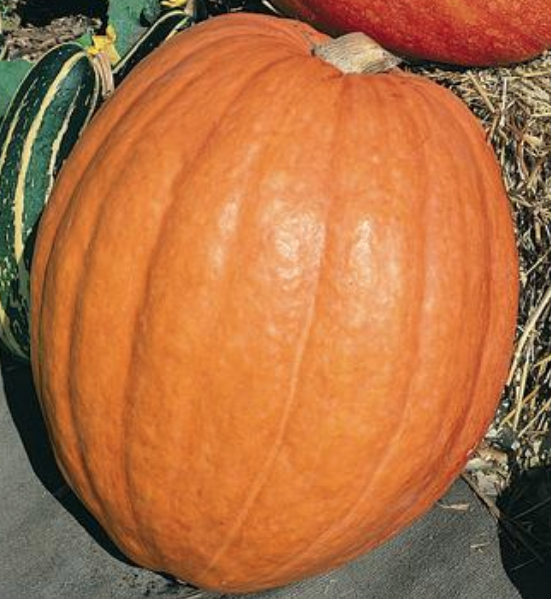 The large buff colored rind of the Dickinson Pumpkin is an attractive addition to any pumpkin patch or garden and is also perfect for pies! 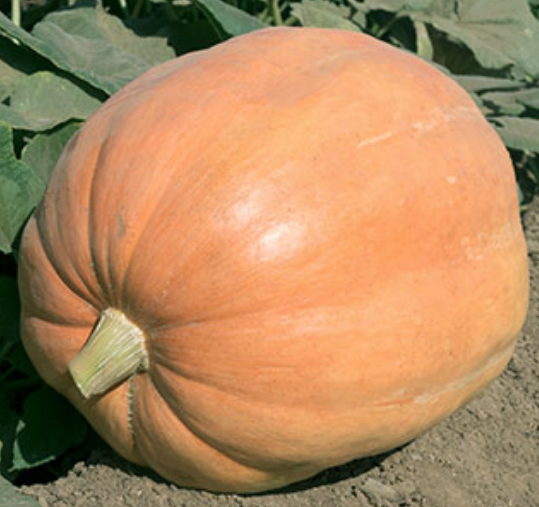 The deep orange flesh of the gorgeous, big flat Fairytale Pumpkin is very fine grained, heavily ribbed and one of the best for baking! 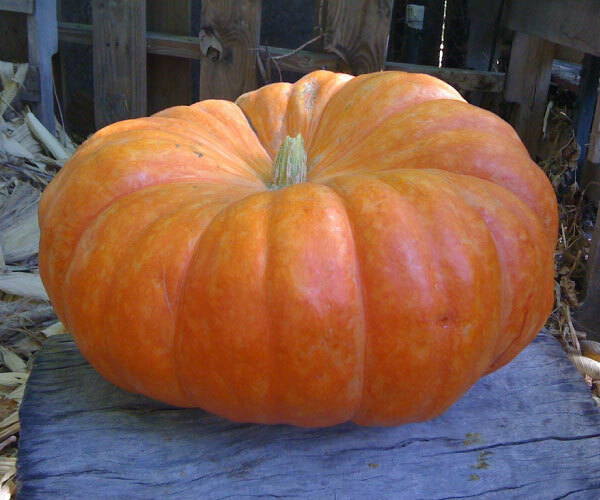 Truly a first prize, the very large and brightly colored First Prize Pumpkin variety will be a great addition for those who want the biggest and best. 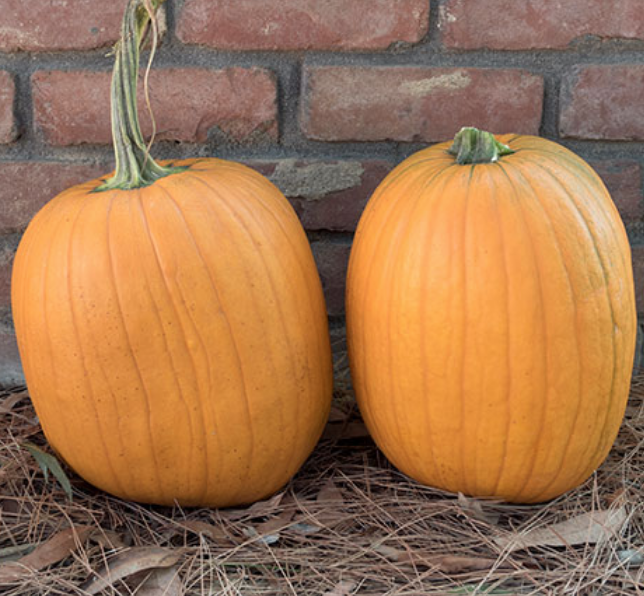 Just like its name, the Halloween Pumpkin, or also known as the Jack'O Lantern, is the perfect porch decoration for Halloween! 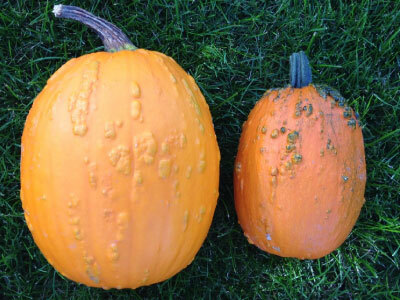 The Harvest King Pumpkin will produce a consistent 25-35 lb. 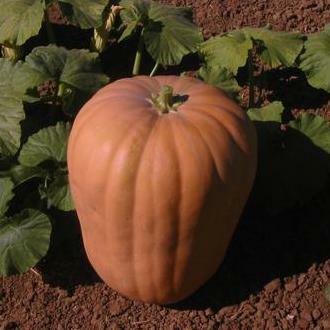 pumpkin that is a larger variety with excellent yields and quality. 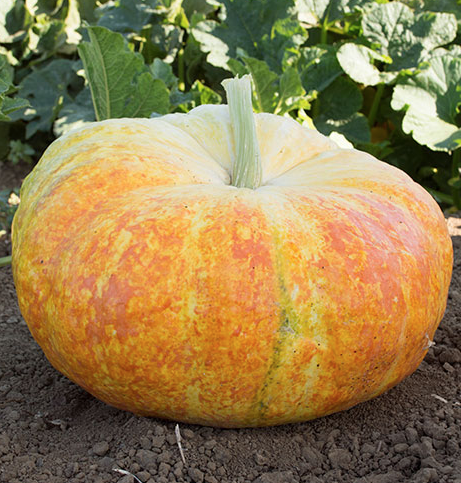 The Howden Pumpkin is a larger improved Connecticut Field type that has a rich orange hard rind that is uniform and symmetrical with a thick flesh. 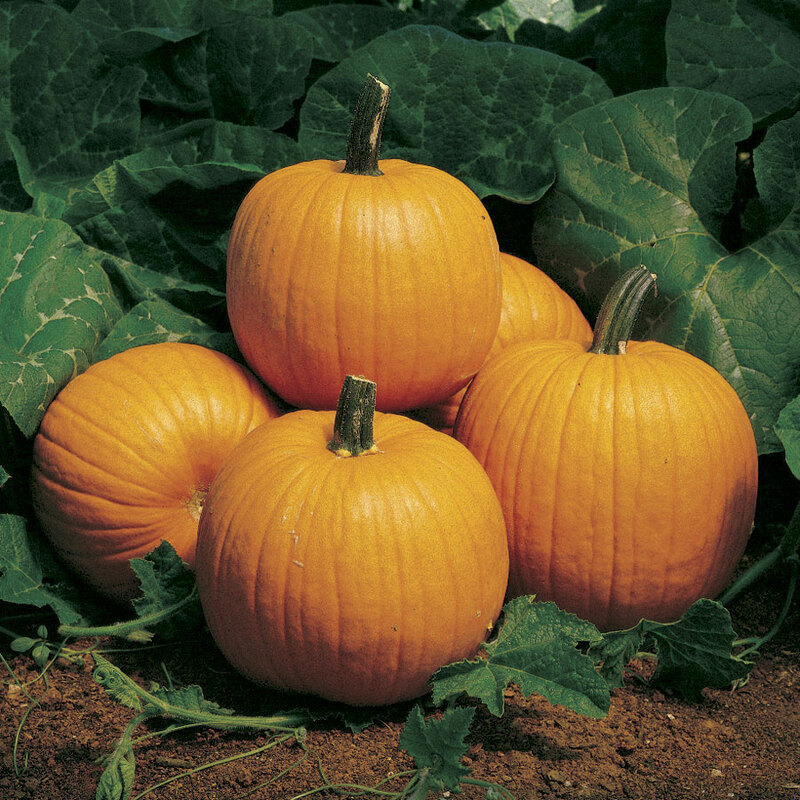 The Jack Be Little Pumpkin is edible, but is more highly valued for its decorative value and will last for months if properly cured! 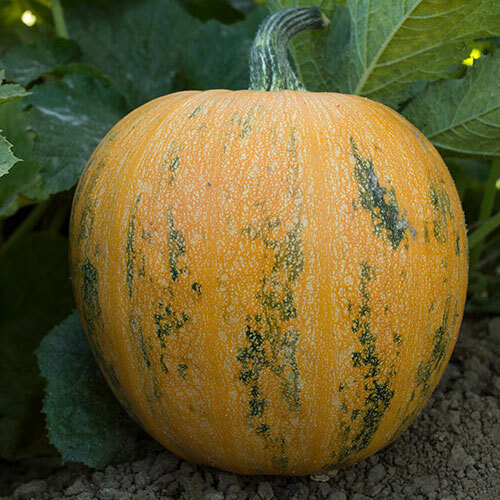 The compact yellow-orange and bright green striped lady Godiva Pumpkin is such an attractive pumpkin to add to any garden! 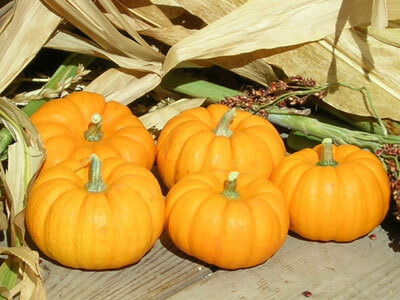 The Mammoth Gold Pumpkin's thick pale yellow-orange flesh is edible but coarse, and can be used for pies as well as novelty. 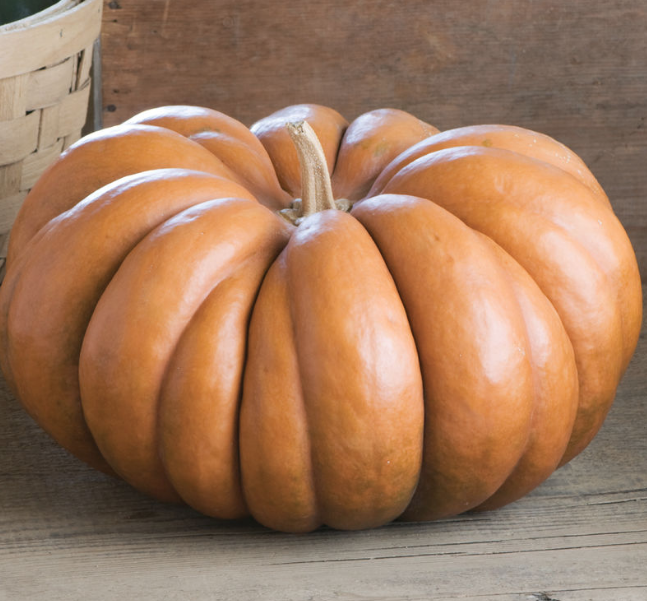 The Small Sugar Pumpkin's thick, sweet flesh makes it a great choice to use in cooking and baking, especially excellent in pies! 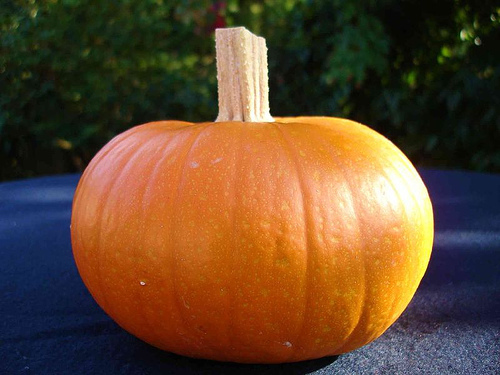 The Spookie Pumpkin is a very uniform pumpkin with a great tasting inside and is a cross between the Sugar Pie and Jack O' Lantern. 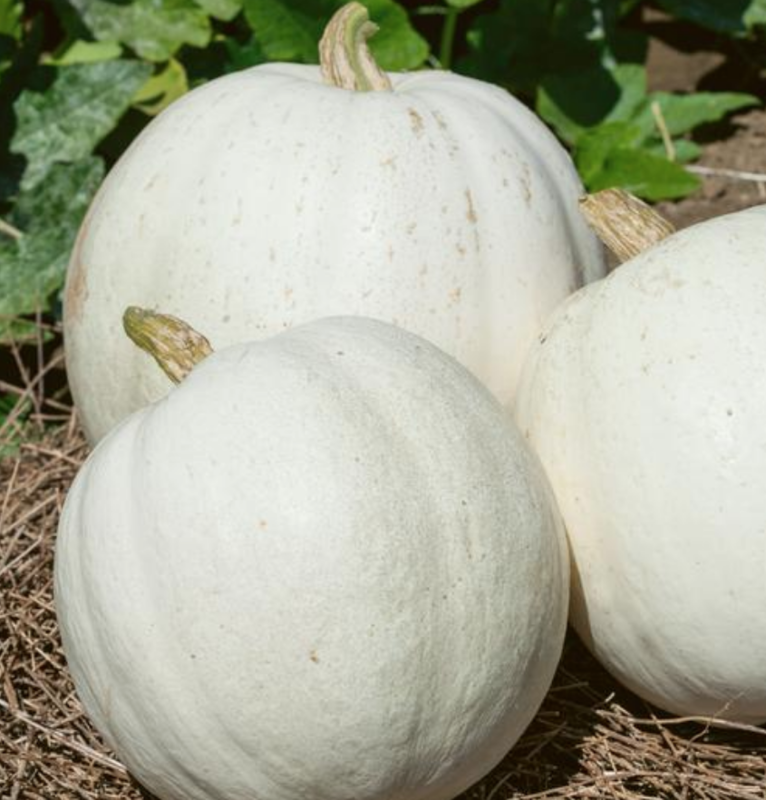 The White Flat Boer Ford Pumpkin is an appealing autumn display, but it also has a delicious eating quality for its aromatic, succulent, and sugary flesh. 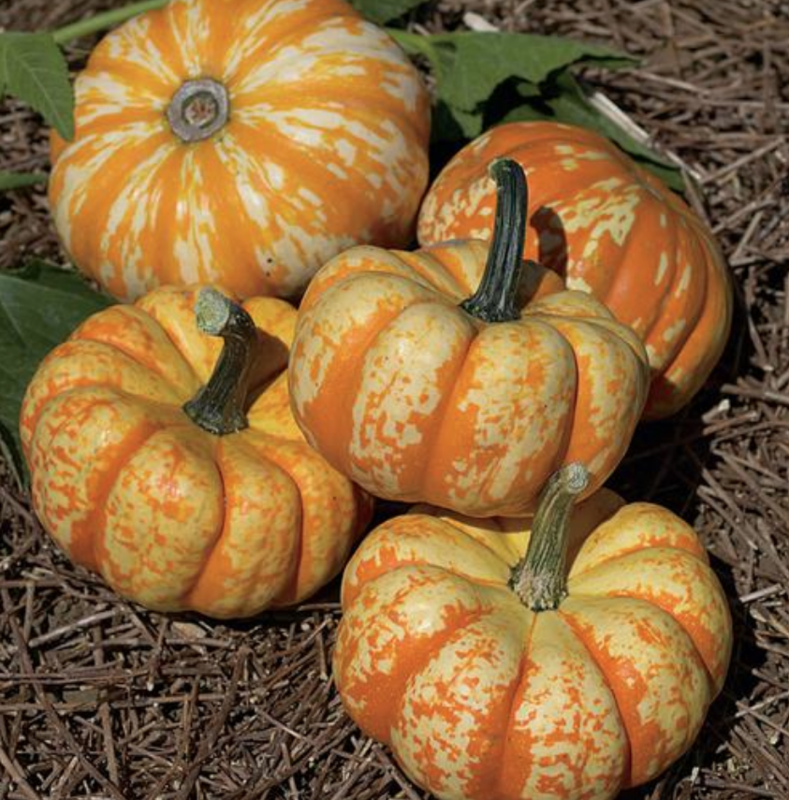 The Hooligan Pumpkin is a small bicolored Jack Be Little hybrid with orange and white mottled colors that only weighs 1/4 of a pound!